The Food Corporation of India has updated the website with the FCI Recruitment 2017, issued on the website is aiming to fill for Watchman Posts. Candidates can get further details of the FCI Recruitment 2017 on the official website at www.fci.gov.in. The Food Corporation of India has issued with the Job openings for Watchman Posts through the FCI Recruitment 2017 that will be updated on the website on 22nd July 2017. The application mode for the posts is through the online method on the official website at www.fci.gov.in. The candidates are selected through a Written test and Physical Endurance Test processes and are placed in Andhra Pradesh.For more information about the FCI Recruitment 2017, candidates are advised to refer the Official Website of the Food Corporation of India at www.fci.gov.in. FCI Recruitment 2017 will be issued on the official website of the Food Corporation of India on 22nd July 2017. 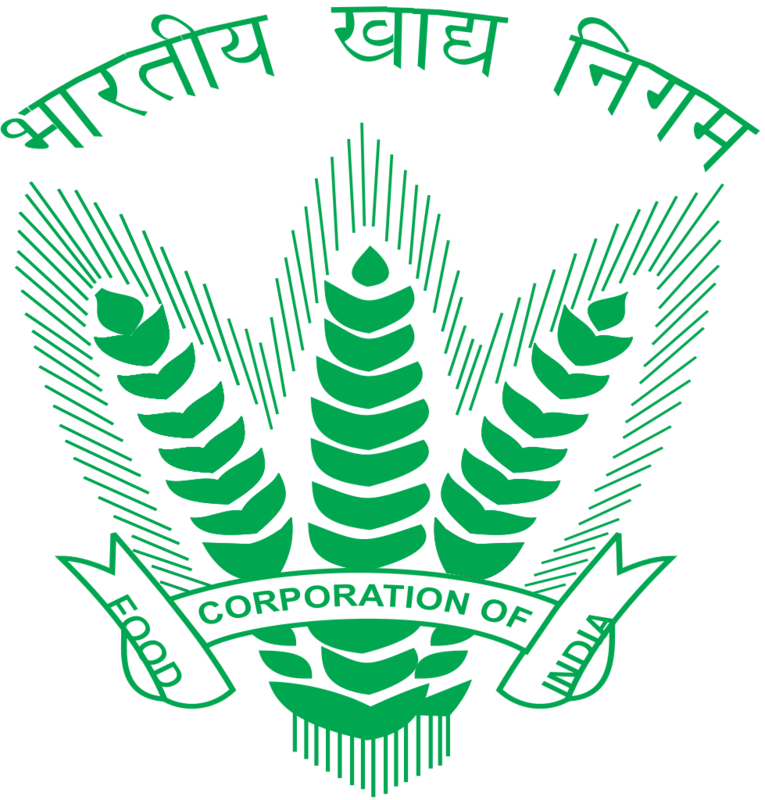 The Food Corporation of India is aiming to fill 271 Vacancies for Watchman Posts. Candidates should note the last date of submission of the application form which until 21st August 2017 and can be applied through online method at www.fci.gov.in. Applicants applying for the Watchman posts at Food Corporation of India must have completed 8th standard or more from a recognised Board or University. The Age limit for the Watchman Posts should not be from 18 to 25 years as per the official website. Visit the Food Corporation of India page at www.fci.gov.in. Click “FCI Recruitment2017″ link and select the “Apply” link. Enter the form with correct details and upload the required documents. Submit the application form before the last date of submission. Take a print out of the same for further use. For detailed specification of the FCI Recruitment 2017. Click here. Check UPSC Recruitment 2017 for Indian Military Academy & Other Posts of 414 Vacancies at www.upsc.gov.in. Union Public Service Commission issued the UPSC Recruitment 2017 with 414 Job Vacancies for Indian Military Academy & Other Posts on the website on 9th August 2017. Candidates who qualify the required qualifications can apply for the UPSC Recruitment 2017 on the official website at www.upsc.gov.in. The Union Public Service Commission has released with the openings for Indian Military Academy & Other Posts through the UPSC Recruitment 2017 on 9th August 2017.The Commission aiming to fill 414 Vacancies for Indian Military Academy & Other Posts can be applied online on the official website at www.upsc.gov.in. To apply for the UPSC Recruitment 2017 candidates should note the last date of submission of the application form which until 8th September 2017. Candidates who are willing to apply for the posts are advised to keep themselves updated on the website. The Union Public Service Commission is a central recruiting agency of India and has its headquarters at Dholpur House, in New Delhi. They conduct examinations for All India services and group A & group B of Central services. The Union Public Service Commission has recently released the UPSC Recruitment 2017 Notification on the website to recruit candidates for Indian Military Academy & Other Posts. The candidates at Union Public Service Commission are selected through a Written Examination Interview processes. Applicants applying for the Indian Military Academy & Other posts at Union Public Service Commission must hold a degree from the recognised university or equivalent. The Age limit for the Indian Military Academy & Other Posts should be satisfied as per the official website. Go to the official website at www.upsc.gov.in. Click the UPSC Recruitment 2017 link. Download and enter the information as required. Submit the application before the last date and take a print out for further use. The Railway Protection Force has released the latest Job Openings for Constables Posts on the website. The RPF Recruitment 2017 has been issued on the website aiming to fill for19,952 Vacancies Constables Posts. Candidates can get more updates of the RPF Recruitment 2017 on the official website at www.indianrailways.gov.in. The Railway Protection Force has released with the openings for Constables Posts through the RPF Recruitment 2017 that was updated on the website.The Railway Protection Force is aiming to fill 19,952 Vacancies for Constables Posts through RPF Recruitment 2017. Candidates should note the last date of submission of the application form which until 14th October 2017. The application mode to apply for the posts is through the offline method. The application form is to be sent before the last date to the postal address given on the official website at www.indianrailways.gov.in. For more information candidates can refer to the Official Website. The Railway Protection Force is a security force of India. The RPF aims at protecting railway passengers, passenger area and railway property of the Indian Railways. The Railway Protection Force has recently released the RPF Recruitment 2017 Notification on the website to recruit candidates for Constables Posts. The candidates at Railway Protection Force are selected through a Written Examination, Physical Efficiency Test, Physical Measurement Test, Viva-Voce Test, Bonus Marks, Verification of Documents, Medical Examination, Training processes. Applicants applying for the Constables posts at Railway Protection Force must have completed 10th or equivalent from a Central or State Govt recognised Board/Institution. The Age limit for the Constables Posts should be from 18 to 25 years as per the official website. Open the official website at www.indianrailways.gov.in. Download the application form from the RPF Recruitment 2017 link. Fill the form with the required details. Send it to the postal address given on the website. The OICL Previous Papers 2017 has been released by Oriental Insurance Corporation Limited on the official website at www.orientalinsurance.org.in. The Oriental Insurance Corporation Limited issued OICL Sample Papers 2017 for candidates applying for the Administrative Officer Posts. The Oriental Insurance Corporation Limited has released the notification of OICL Recruitment 2017 for aspirers looking for the Government Jobs. The candidates who are willing to work at Oriental Insurance Corporation Limited and are preparing for the examination can get the OICL Previous Papers Papers 2017 being updated on the official website at www.orientalinsurance.org.in. The candidates have to submit their application form through online before the last date of submission before 21st August 2017. It is important for candidates to get updated with the OICL Previous Papers Papers 2017 available on the website. 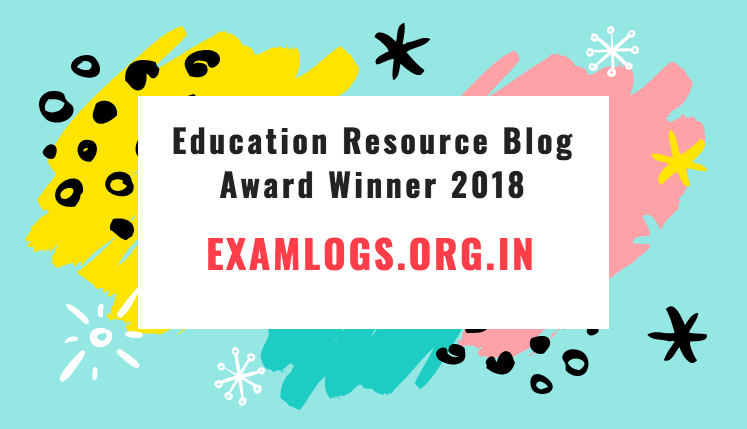 OICL Previous Papers Papers 2017 allows the applicant to get an idea about the question paper pattern and the syllabus required to crack the examination. Candidates aspiring for the Administrative Officer Posts at Oriental Insurance Corporation Limited can practice with the solved papers as this would enable the applicants to dedicate their time upon the frequently asked questions and to get a clear idea about the examination. The Board is aiming to fill 300 vacancies for the Administrative Officer Posts. 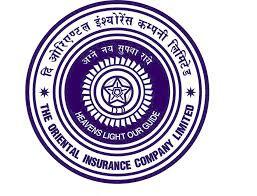 Applicants at Oriental Insurance Corporation Limited are selected through Prelim and Main Examination processes. Candidates who are interested in the Administrative Officer Posts can start preparing for the exams through the OICL Previous Papers Papers 2017 available on the website. Click on the OICL Previous Papers Papers 2017 link. Click ‘Download’ option available on the screen. Take Print out of the same for further use. Click here to get further details about the exam and the OICL Previous Papers Papers 2017. Check BHEL Recruitment 2017 of 301 vacancies for Conservator of Technical Apprentice Posts at www.bhel.in. Bharat Heavy Electricals Limited has released the latest Job Openings of 301 vacancies for Conservator of Technical Apprentice Posts. The Bharat Heavy Electricals Limited is aiming to recruit candidates through BHEL Recruitment 2017. Further information can be obtained from the official website at www.bhel.in. The BHEL Recruitment 2017 has issued the Job openings for Technical Apprentice Posts on 18th August 2017. Candidates can apply for the BHEL Recruitment 2017 through the offline method, and send the same to the postal address given on the website at www.bhel.in. Interested Candidates can appear for the Walk-in-Interview on 21st August 2017 to 31st August 2017 to the address provided on the site. The applicants who have applied for the posts through the BHEL Recruitment 2017 are selected through Interview processes. Bharat Heavy Electricals Limited is an engineering and manufacturing company based in New Delhi, India. The company was founded in 1964 and is considered to be India’s largest power plant equipment manufacturer. The Organisation conducts BHEL Recruitment 2017 to select candidates for Various Posts. 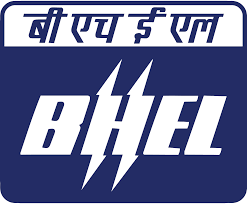 Bharat Heavy Electricals Limited has recently issued the BHEL Recruitment 2017 for Technical Apprentice Jobs of 301 vacancies on the official website. For more information about the Recruitment Procedure candidates can refer to the official website. Applicants applying for the Technical Apprentice Posts should have the degree in Diploma in the respective discipline from a recognised University. The Age limit Criteria should be from 18 to 27 years as per the official website at www.bhel.in. Age Relaxation is given for candidates of OBC and Other Categories. Visit the official website at www.bhel.in. Click on the “Engagement of Apprentice Trainee” link under the career section. Download the Notification and fill the BHEL Apprentice Training Application Form. Lastly, appear for the Walk-in-Interview on the address given on the official website. For more information of the BHEL Recruitment 2017, Check Here.